Slack is one of the easiest ways of keeping in touch with people, sharing information, and collecting all your valuable data in one place. If you're new to Monkey Test It, check out our introduction for a summary. Monkey Test It closely integrates wit Slack via a slash command, allowing anyone in your organization to instantly summon a team of eager monkeys to test your websites. Connecting your Slack account to Monkey Test It only takes a single click from your dashboard. 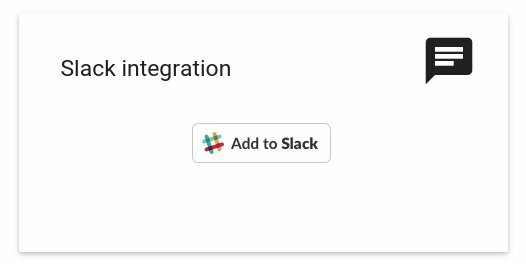 If you don't yet have an account, Sign Up, and then click the "Add to Slack" button on your dashboard. Need help setting up Monkey Test It with Slack? Send us an email and we'll give you a paw...err, hand.